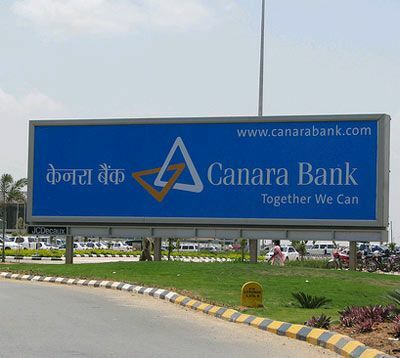 Canara Bank is the oldest bank in India. It came into existence in 1906 and has its headquarters in Bangalore, Karnataka. Shri Ammembal Pai Subba Rao, brainchild behind Canara Bank was a noted industrial and philanthropist during early 20th century. He established the Canara Hindu Permanent Fund that was later renamed Canara bank in 1910. The bank got a nationalised status on July 16, 1969 by the Government of India, along with 13 other major banks. Canara Bank also happens to be the first bank in India getting an ISO certification for “total branch banking” for its Sheshadripuram branch in 1996. Canara Bank provides financial assistance to developmental projects and so far it has been one of the major contributors of UNEP solar loan program that has initiates solar lamp home systems in villages of southern India. It also has a number of subsidiary companies like Cafin Homes Limited, Canara Bank Secruties Limited, Canara Robeco Asset Management Company Limited, Canara HSBC Oriental Life Insurance Company Limited. This state owned bank has over 3000 branches spread all across the country and also offices in London, Dubai, Doha, Moscow, Shanghai and Hong Kong. The bank has its branches in the capital of Uttar Pradesh, Lucknow, as well.